The early Christian Church was faced with spreading the teachings of Jesus Christ throughout the world, often during a time of martyrdom and intense persecution. Traditions in the Early Christian Church included the Memorial of the Last Supper – the celebration of the Liturgy of the Eucharist and reception of Communion, on Sunday the Lord’s Day (Revelation 1:10), and Prayer, such as the Lord’s Prayer and the Apostles’ Creed, a profession of faith during Baptism. The Apostolic Fathers were a group of early Christian writers who knew one of the Apostles and lived about 75-150 AD, and sought to define, organize, and defend the faith, such as Ignatius of Antioch, Clement of Rome, Polycarp of Smyrna, and the author(s) of the Didache. St. Ignatius of Antioch was designated Bishop of Syria by St. Peter on his trip to Antioch to meet St. Paul. St. Ignatius was the first to use the term Catholic Church in his Letter to the Smyrnaeans. The word catholic means universal and refers to the universal Church of Jesus Christ. Ignatius of Antioch would not worship the Emperor Trajan, and thus was placed in chains and martyred in Rome when thrown to the lions in the Coliseum. 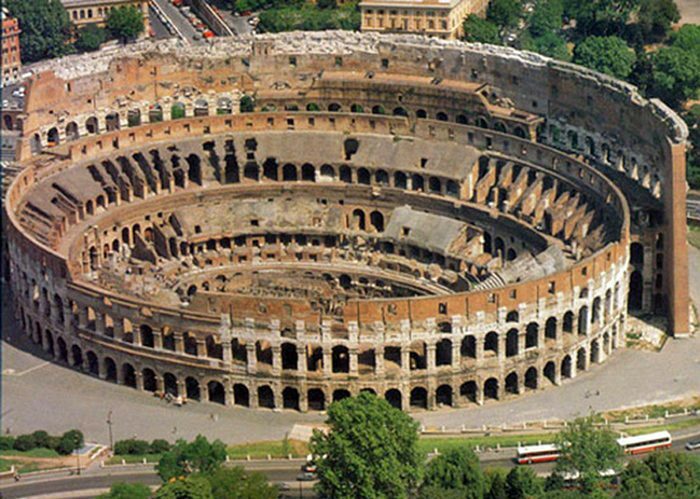 He wrote seven letters on his trip to Rome, which proved to be a unifying event for all of the early Churches. He established the Church hierarchy of bishop, priest, and deacon for the early Churches, the pattern which still exists today. Our anonymous author is a physician and a Masters graduate in Theology and Christian Ministry from Franciscan University, Steubenville, Ohio. He teaches Sunday Bible Class at St. James Catholic Church and serves both Pastoral Care and the Medical Staff at St. Joseph’s Hospital. The following 20 signs are based on my observations regarding organizational dysfunction associated with a toxic (poisonous) culture in any organization. In this article, the word “culture” refers to the prevailing attitude, behavior, and unspoken feeling and or rules that motivate and determine how people respond, react and act in the context of their work. The following toxic traits fit either a “for profit” or “nonprofit “organization (including nonprofits like a hospital, school or church). 1. The leader is a demanding micromanager. When the leader of an organization is constantly hovering over staff and other team leaders—not only telling them what to do but exactly how to do it (although this is necessary temporarily when a new person is learning a new job until they prove their competency), it discourages the work environment because the leader’s leadership style demonstrates a lack of trust towards those under him or her. 2. The leader is emotionally abusive and demeaning. A work environment is absolutely horrible when the boss is constantly putting the staff and other leaders down—never praising them and only speaking to them when he wants to correct them. 3. The leader doesn’t understand or desire to delegate tasks to others. Often, micromanagers have a hard time delegating work to others because they have a “perfectionist” spirit and think they are the only ones who can get a job done the correct way. Even when they delegate, they don’t trust those they delegate to and are constantly on top of them, thus not giving them room to breathe or grow. 4. The leader and the governing board are always arguing. I have spoken to numerous pastors or CEOs who say they dread board meetings because of philosophical differences. The result is, there is constant bickering and or resistance which then hurts the execution of the vision, which spills over to the rest of the organization—creating a toxic environment. 5. There is low morale among the staff, employees and participants. When the staff and team leaders of an organization have low morale, it negatively affects the rest of the participants since it is like a virus that spreads to all. 6. The vision and mission are always changing based on the mood of the leader. Any church or organization that has a new vision and mission every year has a confused leadership team. Since vision determines the organization’s responsibility and mission determines its authority, when these two are constantly changing, nobody understands what is expected; thus, creating confusion, lack of trust towards the leader and resulting in a toxic culture. 7. A culture of rampant gossip is tolerated. When an organization cannot keep confidentiality among the leaders and staff, and when backstabbing and gossip is tolerated, the organization is poisonous and unfit to work in until there is a drastic shift away from this behavior. 8. There is a lack of transparency regarding financial decisions. When any organization—including a church—doesn’t at least annually divulge financial expenditures, values and priorities, it shows a lack of accountability and possible mismanagement. When only the lead pastor and or CEO of an organization (not talking about a “for profit” mom and pop restaurant or small business) know the true financial state and or has access to the monies, it can be an ethical disaster waiting to happen. I’ve known of some cases where not even the trustees of the organization knew what was going on financially. 9. There is an ambiguous accountability structure. When nobody on staff or in a ministry or job position understands who to report to, it creates a toxic, confusing environment without true accountability. 10. There is a lot of transition in the staff and middle management. When a “season” of transition becomes years of staff transition, it becomes part of the culture and demonstrates some level of toxicity that chases people away from the work environment. People in healthy work environments usually enjoy going to work (unless they are lazy and unmotivated) and make a long-term commitment to serve. The key to the success of all organizations is when the staff and participants go from being “employees” to “proprietors;” hence, only when the key players in an organization take ownership and have the attitude of a shareholder does the organization gain momentum. An organization populated only with mere “employees” is a toxic organization that marginalizes its ability to execute its vision and mission. 12. There is an entitlement mentality among the leaders and staff. When the leadership and staff of an organization have a “what’s in it for me” mentality—the organization is in big trouble. This entitlement mentality spreads, then instead of a culture of servant leadership you have a culture of obtaining a title in the organization primarily, so you can enjoy the fringe benefits. 13. There is much activity without measurable goals and profitability. When an organization has much activity without measurable goals, then it’s difficult to define success and failure. In a church like this, nobody has to exercise their faith in God to accomplish their mission and assignment. Consequently, it is an organization that is on autopilot or like an aimless ship at sea in the night. This causes much frustration and lethargy among the staff, and eventually creates a toxic environment. 14. There is blame-shifting and a lack of taking responsibility. In any organization that doesn’t have clear lines of communication, leadership structure and accountability, it is easy to have a culture of blame-shifting. Since blame-shifting generates animosity among the staff (and irresponsibility from the ones blaming others) you have a toxic culture that needs to be cleaned up systemically. 15. The participants do the minimum amount of work required. I have observed in many organizations leaders and staff who just do the minimum work required to keep their position. They clock in and clock out and don’t care to do above and beyond the general job description. This generates a very bad environment if it is not dealt with and results in resentment from other staff members carrying most of the weight. 16. There is a dearth of volunteers. When it is hard for a nonprofit to garner volunteers, it may demonstrate that there is a disconnect with the vision, the morale is low or the people are not committed to the mission. This lack of motivation creates an apathy, that is toxic for the culture of the entity. 17. The boss regularly ignores the protocols. Every efficient organization needs to have protocols in place related to communication, accountability, layers of leadership and responsibility so that participants know the when, where and who to report to. When the top leader continually violates these processes put in place he or she acts like they are above the law and become bad role models for other leaders who will also replicate their disregard for protocols and order. 18. The boss regularly bypasses the leadership structure set up. When the top leader allows people to report directly to him or her—(thus bypassing the delegated leadership structure) it creates confusion, favoritism and disrespect towards those bypassed. The result is resentment among those bypassed, a sense of entitlement and favoritism among those with direct access to the boss, resulting in a toxic environment that can only be fixed if the senior leader leads the way by ceasing to violate the hierarchical leadership structure. 19. Creativity and innovation are discouraged. Healthy organizations encourage creative thinking, innovation, a certain level of risk-taking and cutting-edge methodologies to support and advance the mission. When an organization is more concerned with protecting the status quo, the result is groupthink—a lack of creativity and a uniformity lacking a healthy dose of critical thinking, which eventually leads to the dulling and ineffectiveness of the organization. 20. There is no long-term planning. The old popular adage “when you fail to plan, you plan to fail” is a proven truism. An organization constantly given to last-minute events (barring an unexpected crisis or emergency) or a lack of long-term planning (every organization should at least execute an annual planning meeting for future events directed towards advancing the assignment) is an organization without a spirit of excellence or proper focus. The result will be many opportunities to maximize the gifts, talents and resources of the organization will be missed, which will frustrate many and hurt the morale of many. Dr. Joseph Mattera is an internationally known author, interpreter of culture and activist/theologian whose mission is to influence leaders who influence nations. He is renowned for addressing current events through the lense of Scripture by applying biblical truths and offering cogent defenses to today’s postmodern culture. He leads several organizations, including The United Coalition of Apostolic Leaders (uscal.us). To order one of his books or to subscribe to his weekly newsletter go to josephmattera.org. by Rev. 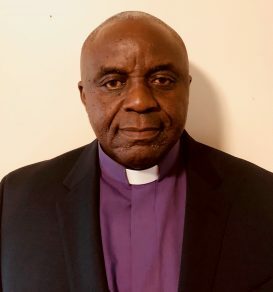 Jean de Dieu Nzeyimana | ECWA USA DCC Assistant Secretary, Pastor of ECWA II Louisville, Kentucky | Planting a church requires fight, endurance, commitment and courage to dodge Satan’s arrows that come from both within and outside the church! Planting a healthy church requires self-sacrifice. I have fought a good fight. I have finished my course, I have kept the faith: Henceforth there is laid up for me crown of righteousness, which the Lord, the righteous judge, shall give me at that day: and not to me only, but unto all them also that love his appearing. There is no growth without change. And there is no change without loss. There is no loss without pain. A church that wants to grow without going through growing pains is like a woman who says: “I want to have a baby, but I don’t want to go through labor. Planting a solid church requires obedience. Using my own experience, God convinced me to leave a paying job I had to become a full-time pastor without salary! It was crazy in the eyes of other people including those in my church. Some said: “Do not expect any tithe from us. Go in the factories/warehouses and sweat like others. God listened to the ridicule and provided in a miraculous way. God has many ways to reward people of courage. Planting a solid church requires trusting God. One day I asked someone to join the leadership of our church. He told me that he was willing to do so with only one condition; to give him a salary! Knowing well that I, myself do not have any salary, but just trusting God, I prayed for him a similar prayer as Elisha’s in 2 Kings 6:17: “O Lord, I wish he could trust your faithfulness!”. ‘Till today, God has been providing for our needs. Planting a healthy church requires self-sacrifice. In ancient Ugandan kingdom, a young boy whose name was Charles Lwanga; a son of the Ugandan king was persecuted, burned alive in January 27, 1887 in Namugongo province by his own father just because he refused to recant his faith. The child decided to side with other Christians and this cost them their lives as a result! One of those boys, the oldest Matthias Kalemba, exclaimed, God will rescue me. But you will not see how he does it, because he will take my soul and leave you only my body! Out of that persecution sprang a strong church which stands today! Tertullian, one who is believed to be one of our early church fathers once wrote. The more Christians are persecuted the more Christianity takes root; the blood [of martyrs] is the seed of the church. Costs is almost always associated with building a solid church across the ages! Regarding planting a solid ECWA USA, same above principles should be applied. A healthy ECWA church requires committed sons and daughters who are determined to go and find the lost from diverse cultures. We need to come out of our comfort zone and go where we may be challenged. We must break cultural barriers and allow inclusiveness. As the pastor moves down the aisle to great his congregation, he glanced over to the section that, only weeks ago, was occupied by several people who had been under his watchful care for a number of years. The feeling of success about the service he just led suddenly fades away. One of the reason pastors quit the ministry is discouragement. Watching people leave a church prematurely, year after year, wears on pastor’s emotions and can play a big part in feeding feelings of discouragement and failure. Be willing to let people leave the church! People are going to leave your church no matter what you do. But when you define the vision, you are choosing who is going to leave…. You can’t surrender the leadership of your church to manipulators. Jesus invested the maximum time with those who would bear the maximum responsibility. I agree with Bill that in the church, people go, and new people come. What we should consider is not the sizeable number of people, but few who support our leadership and the direction of the church. After these departures, some people told me that I should thank God for purging his church of those who could hurt it in the end. This thought corroborates with someone who identified three layers of people: The core (genuine followers), the leaning in (those who can follow), and the leaning out (those outside the margin). And he said that we should get rid of those who lean out and remain with the core and the leaning in. Planting a solid church requires to break the cultural barriers. Last March I visited a healthy church in Pretoria, South Africa and I was amazed by how multicultural the church is. Its members are from more than twenty different nationalities. The whole congregation (both men and women and child) are involved in various church activities. From ushers, to welcome teams, traffic and parking teams, information team, prayer teams, men’s, women’s, and youth programs, etc. The church has a wing for children’s ministry where church members go to volunteer as teachers, ushers, and baby sitters. There is no such thing as a South African, Rwandan, Burundian, Nigerian, Tanzanian, Ugandan, or Kenyan church member! They all work as sons and daughters of the Kingdom. I would suggest that this multicultural church did not arrive to this point overnight! It cost their church leadership enough time to implement that effective church structure. Labeling and name tag calling are other indications of dysfunctional churches. When we start labeling our churches as Nigerian, Burundian, or Rwandan, the failure is already looming at our doors. And most of the time we are the active agents of that labeling, especially when we seem pushy towards those who do not look like us. No one would tell anyone to leave the church, but their attitudes would convince you that you are not welcomed! My dream is to one day see ECWA USA beyond the cultural barriers mentioned above. Let us use more inclusive terms rather than exclusive ones! Building a solid church requires investment in time, effort, and energy. Nowadays, many church leaders, especially in African churches here in the USA, have tendencies to consider church like any other duty. They come to church on Sundays and after service they go and stay away from church activities until they come back the next Sunday. I wonder why church members are reluctant to give their tithe because, according to them, they refuse the pastor to get paid twice! The pastor goes to the company/Warehouse like any other person, someone complained! Why would he (the pastor), want us to pay him for the work he did not do! Some African pastors here in states have tried to make church a business! They take the church for another source of revenue/income! If you believe you can’t trust God to provide for you as you work for him, then get down to business and find jobs like any other person. Pastors should spend enough amount of time performing church duties. If a pastor has a full-time job outside the church, he should not expect that his church would to be sound and strong! Before concluding my sharing, if everything I said can be forgotten, remember this anchor for a solid church plant, reliable results will not be taking place until godly men and women get on their knees and pray without ceasing. Prayer should not be put on to-do-list. It should permeate all our activities. Prayer must be our lifestyle. Rev. Jean de Dieu Nzeyimana is ECWA USA DCC Assistant Secretary and Pastor of ECWA II Louisville Kentucky. He is the Executive Director of Gate of Hope Ministries International. I had the privilege of participating in the Lord’s ministry in Nigeria for twenty-eight years before I came to Asbury Theological Seminary in the fall of 2004, and I realize that the Lord enables me to serve better in the areas of teaching, preaching, and writing Christian literature. I served as a teacher and principal in one of my denomination’s Bible schools as well as pastoring several churches at various locations and times. A mission body known as the Sudan Interior Mission (SIM) founded the denomination to which I belong: the Evangelical Church of West Africa (ECWA) back then but now known as the Evangelical Church Winning All (ECWA) in Nigeria. My previous observations and experiences as well as the history of the church shows that early congregations started on a solid foundation, faith in the Lord Jesus Christ, with a desire to grow towards maturity in Christ. At the beginning believers were known for what they profess to be believers in Christ otherwise called “Christians.” They were not afraid to share their faith with others in obedience to the Lord’s command to preach the gospel to all nations of the world (Matt. 28: 18-20). They were continuously striving and engaging in Bible studies, evangelistic activities, and constant fellowship in community settings. They collaborated with the missionaries in building and sustaining the body of Christ. Nevertheless, the time came when missionaries handed over the church leadership to nationals who followed the examples set forth by the founding fathers. The work continued well. Leaders gave their time and resources in selfless service in the Lord’s vineyard, and the congregations trusted them and their leadership. Fifty years after the handover to the nationals, several problems seem to have crept into the life of the church. The spiritual state of believers appears to be declining, and some of the leaders seem to be deviating from the mission of the church which is to glorify God in life and service. Sensing the problem is what prompted me to be devoted in preaching, teaching, and writing. This report includes a brief history of Nigeria and the church, biblical and theological foundations for the research, a literature review on leaders, leadership tasks, leadership approaches, the qualities, competencies as well as the spirituality required of a leader. The ministry intervention aimed at helping ECWA believers reclaim their identity and sense of belonging in Christ and to one another. Assessments confirmed the existence of spiritual decline among ECWA believers and the need for leaders with spiritual vision and direction to lead the church in reclaiming ECWA believers’ identity and sense of belonging in Christ and to one another. The ministry intervention of this research was designed with a need for spiritual and visionary leaders to provide learning environments that would facilitate a learning process in helping ECWA believers reclaim their identity and sense of belonging in Christ and to one another. This need, which has been a burden upon my wife and I, led us into starting a Servant Leadership Ministry to the disable persons, widows/widowers, orphans, senior citizens, and the poor in Madakiya community in which we were brought up and to which we belong. The distinctly Christian response to any need is a ministry response (i.e., a servant response). Jesus conceived of his own ministry as a response to specific human need. He articulated this construal of his ministry in his explanation of his unconventional behavior of “eating with tax collectors and sinners” (Mark 2:13-17). He responded to questions about this behavior in terms of the link between human need (the “sick” and their need of a “physician“) and his own purpose (why he “came” [Mark 2:17]). Similarly, in his programmatic statement summarizing his whole ministry, he claimed he had come “not to be served but to serve” and to “give [his] life a ransom for many” (Mark 10:45). Therefore, a most fitting response to the perceived need in ECWA is along the lines of the following design, judging from the research. The need for trans-formative leaders seems to be of great concern among many ecclesiastical leaders in many African countries. Other Africans are leading awakenings like that proposed in this study. Two ministry initiatives that are taking place in Africa today encourage one to think that a ministry intervention of the sort here proposed has, by God’s grace, a reasonable likelihood of success. 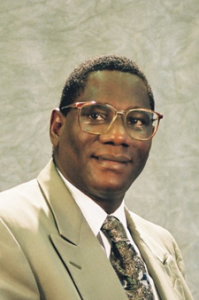 A premier example of these African ministries is the International Leadership Institute of Southern Africa founded and led by Alfred Calembo. His ministry aims at recruiting and training potential leaders who would also train others in their localities. The ministry appears to be flourishing, apparently meeting well the needs of adult learners and meeting perceived leadership needs. Calembo demonstrates the servant leadership attitude needed to be able to influence leaders in a community. His ministry is administered at the national and international levels. Its main aim is influencing the direction of his denomination by shaping leaders who would go and shape others, too. Producing leaders with a vision such as Calembo’s who will lead transformational learning programs like his is the goal of this proposed ministry intervention. Calembo exemplifies the fruit anticipated when ECWA believers find their identity and sense of belonging in Christ and to one another. To encourage and support senior citizens who have no relatives to support and care for them. To provide economic empowerment and emergency food relief to the diverse groups as described above. The ministry is microcosm, done in a neighborhood environment that could be done at regional and national levels. However, the success and positive response to our limited efforts has encouraged me to think similar ministries could be creatively replicated in many local ECWA congregations. The spirit and direction of the holistic ministry could also set the tone and direction for national and regional leadership and would be a harbinger of spiritual renewal in ECWA. by Timothy W. Massaro | The New Atheists, Christopher Hitchens, Richard Dawkins, and Sam Harris, claim far too much about what science can or cannot do. Often they do not deal with the very issues that have led many scientists and philosophers to assert the belief in God. Their failure to construct “a plausible worldview that accounts for the existence of a law-abiding, life-supporting, and rationally accessible universe” ultimately puts their arguments from a supposedly scientific perspective on difficult ground (image: Dashboard). When modern people hear talk of science and faith, they don’t know whether to stay silent or prepare for a heated debate. The story we often hear goes something like this: with the rise of science and technology, belief in God is foolish. We assume miracles cannot happen, that science and faith cannot mix. Here are five reasons why science and faith are compatible. 1. Scientists cannot escape the question of God. The story of science and faith is much more complicated than we have been told. Some of the most outspoken atheists or skeptics have painted a simplistic picture, one that is not scientific. The truth is much more interesting. Stephen Hawking, who is often seen as supporting the atheist cause, doesn’t end up where we would expect. He ends his best-selling A Brief History of Time with this remarkable passage: “What is it that breathes fire into the equations and makes a universe for them to describe?” (p. 190). In later interviews Hawking answers this question: “The overwhelming impression [of the universe] is one of order. The more we discover about the universe, the more we find that it is governed by rational laws” (Gregory Benford, Leaping the Abyss: Stephen Hawking on Black Holes, Unified Field Theory and Marilyn Monroe, Reason 4.02 [April 2002]: 29). Hawking openly questions the scientific need for God. This leads him to a pressing question: “You still have the question: why does the universe bother to exist? If you like, you can define God to be the answer to that question.” At the end of the day, many scientists think that the belief in God is compatible with science. Still have doubts? Keep reading. The question of God is on the mind of scientists and philosophers. But why? Well, nature is more ordered and life-centered than they thought. The evidence has led scientists further and further into supposing something of a rational mind of God behind everything. Wrestling with the work of Albert Einstein, Paul Davies believed there were several pressing issues. Natures order led Davies to wonder, “Where do the laws of physics come from? Why these laws rather than others?” (Paul Davies, Physics and the Mind of God: Templeton Prize Address, First Things [May 1995]). These burning questions of God open the door to science. They do not close it. 3. Nature bears the marks of a designer. Gods handiwork bears the signs of design and dignity, the world is full of wonder. Another reason for a belief in God is that the life-oriented properties of nature must have existed originally for the world to exist at all. Gerald Schroeder, the physicist, writes about this issue in his book God According to God (HarperOne, May 2010). This truth has led many to believe in an infinite creator who has ordered all things in this way from the very conception of the universe in order for life to be sustainable at all. Science can only stand in wonder at such a necessity. 4. Science is only one source of truth. Faith in what must be (i.e., God) for the world to exist as it does is actually rational. Science has not found evidence precluding the belief in God, miracles, or the resurrection of Jesus. Such fields are outside the competency of science and its methodology. Faith is not incompatible with the evidence. Everyone has to believe in a hypothesis concerning where the compelling evidence leads them. Such basic beliefs are the building blocks of understanding the laws of nature. This poses another problem for atheists. 5. The laws of nature pose a problem for atheists. Science cannot exist without the assumptions of a stable creation, with meaning, purpose, or the laws of nature to govern it. Without the assumptions brought about by Christianity, modern science would have no footing whatsoever. If nature were inherently self-serving and motivated merely by survival rather than to the giving of life, the stability of natural laws would be unknowable. Nature itself would be a moving deception. We would not have the ability to even perceive such a reality if it existed. “Science is based on the assumption that the universe is thoroughly rational and logical at all levels,” writes Paul Davies. “Atheists claim that the laws [of nature] exist reasonlessly and that the universe is ultimately absurd. As a scientist, I find this hard to accept. There must be an unchanging rational ground in which the logical, orderly nature of the universe is rooted” (Russell Stannard, God for the 21st Century [Templeton Foundation Press, 2000], 12). Scientists see this rationality which many people want to discount as superstition. The evidence, therefore, points to something of an infinite creator and to a belief in him. If you are still skeptical after reading this short introduction to the compatibility of science and faith, check out this recent interview that offers similar conclusions. People don’t need to feel as though they need to choose between belief in God and holding to scientific truths. There is a better alternative: studying the ever-increasing scientific evidence with an open mind to the very real possibility of Gods existence. Timothy Massaro is a staff writer for Core Christianity. He is the Social Media Manager for the White Horse Inn. He has lived on both coasts of the USA and many places in between. He enjoys reading, traveling, and getting away from the busyness of modern life. He has an affinity for all things J.R.R. Tolkien (except the movies) and has interests in the intersections of philosophy and theology. He currently lives in California where he received his Master of Divinity from Westminster Seminary. His biggest prayer is that the gospel in all its beauty might re-kindle a wonder and joy of God’s goodness in our hearts. Connect with Timothy on Twitter @word_water_wine. How Does the “Selfie Culture” Affect Young Women Today? by Rachel Marie Stone | It’s not healthy to dwell too much on how we look. Branding yourself is not a new concept. However branding yourself with the image that you want the world – or your followers to see – is a new form of personal branding. And the way you see yourself in a selfie is tailored toward the way you expect others to see you and not the way your close family, friends and relations sees you. Many Christians think if they miss church service, they might be damned to hell for all eternity. This can be very much seen in Catholic doctrine. “The Sunday Eucharist is the foundation and confirmation of all Christian practice,” The Catechism of the Catholic Church clearly states. “Those who deliberately fail in this obligation commit a grave sin.” However, that is only one denomination of Christianity. Most other denominations can have significantly different interpretations. It's helpful to have a clear understanding of the different sects of Christianity. Slate speaks about a cultural change as to why Catholics aren't confessing their sins at mass. However, Fr. James Martin, a Jesuit priest, has been advocating for confession and how helpful it can be. “Moreover, it helps to verbalize your sins with another person,” Martin wrote. “And hearing the words of absolution, viva voce, is a lot more powerful than intuiting them in prayer,” Martin alleges he has spoken with many Catholics and understands how tiring confession can be. But, he still believes in the benefits of confession. So, the question of missing church can greatly depend on your particular Christian views. It could also be based on whether or not you are very liberal or conservative. Many Catholics can be conservative and pro-life while others might be pro-choice and care more about social justice issues. While individual Christian churches have attempted to set standards, it is tough to enforce them in one country alone but across the world too. It would seem the Lutheran standardsare more sensible. But, we can leave the answer up to you. About the author: Tommy Zimmer is a writer whose work has appeared online and in print. His work covers a variety of topics, including politics, economics, health and wellness, addiction and recovery and the entertainment industry. by Rick Hamlin | I was able to worship with a head and heart free of distractions in a congregation of strangers who didn’t seem all that strange. After all, we were all brothers and sisters in Christ. Traveling this summer? Out on the road? Taking a vacation? No need to make it a vacation from church. Try dropping in on a congregation away from home. I’ll admit the first time I visited a church on a summer day far away from my own church, I wondered what had gotten into me. Was it a guilty conscience? Or just a healthy dose of curiosity? The place was practically empty when I arrived–oh, the pews filled up as time went by–and I didn’t know a soul. Nor did anyone know me. That can be a blessing. Nobody came up to me with urgent church business in mind; nobody asked me why I wasn’t at such-and-such a meeting last week, and I didn’t for a minute wonder why so-and-so was or wasn’t in church. I was able to worship with a head and heart free of distractions in a congregation of strangers who didn’t seem all that strange. After all, we were all brothers and sisters in Christ. We sang, we prayed, we listened to a sermon, we heard Scripture. And at the end I shook hands with my new friends. They even recommended a great restaurant to try. Since then I have made it a practice, whenever possible, to go to church on Sunday morning wherever vacation takes me. I have stood on sandy beaches for worship with the waves lapping at our toes. I have sat in stunning historic buildings, gazing up at dazzling stained glass windows, admiring gracious Gothic arches. I have sung with guitars and drums and sung with pipe organs. I have been in thunderous congregations among thousands in bleacher seats. And I have been part of early morning congregations where there were only a handful of us. Have I been welcomed? Always. Have I felt awkward? Sure. But there’s always been someone there to guide me or hand me a bulletin or give me the right psalm book or hymnal. Rick Hamlin is the executive editor of Guideposts magazine and the author of 10 Prayers You Can't Live Without. To learn more about the book and explore your own prayer journey, watch this video. Nov. 2, 2016, was the day of the seventh game of the World Series, and I was ministering at WoodsEdge Community Church in The Woodlands, Texas, at the request of my friend, Pastor Jeff Wells. Throughout the audience, I could see people expressing their team choice by wearing either Chicago Cubs or Cleveland Indians shirts. As I got up to speak, I asked the crowd, "How many of you are Cubs fans?" Many enthusiastically responded in affirmation. I got a similar response when I asked, "How many of you are Indians fans?" Then I said, "Tomorrow, some of you are going to be celebrating because your team won the championship. Some of you will be sad and disappointed that your team did not. But at the end of the day, no matter who wins or who loses, you'll still be Christians. You will still be members of the body of Christ, and you will still be part of the church." I went on, "In a few days, the presidential election will occur, and many of us may have different political preferences. And at the end of the day, some of us will celebrate, and some will be disappointed. But we must remember that our hope is not in the institutions of man, nor in a candidate or political party. Our hope is in the hope of glory, Christ Jesus. When the election is over, we will still be Christians and, as such, should reflect Christ even in our differences. Will we still be Christlike and love those who may disagree with us?" One of the biggest challenges in our society today is the lack of civility and character we display in our disagreements—even in the church. I've never seen so many people who are so adamant and opinionated—politically and otherwise—that they allow their preferences to divide their families, their friendships and even their churches. It's painful and heartbreaking, especially from those representing Christ, on both sides of the political preference spectrum. The only unshakable kingdom is the kingdom of the Lord; and we, the church, must still love each other in our disagreements if we are to help others find their place in the kingdom. John 13:35 says, "By this all men will know that you are My disciples, if you have love for one another." How can we lead others to a relationship with God if we can't get past our own differences? In Mark 10:9, we see Jesus teach, "What therefore God has joined together, let not man put asunder." This passage applies to the context of marriage, but it is clear that God is the one who brings the church together, and woe unto the man or woman who causes dissension and separation in the church. Proverbs 6:19 lists one who sows discord among brethren as one of seven things God despises. We must walk in Christlikeness, crossing racial, denominational and political barriers to be part of something bigger than ourselves. We need to love with the love of Christ; it's the only way we can help others find hope in Christ. Only a church united can bring hope and healing to a nation divided. Around the start of each new year, I always spend time seeking the Lord, away from media and other distractions, to really listen and process what He seems to be saying for the next season. And we have definitely entered into an interesting season. Last year, I sensed 2016 would be a time of re-energizing, refocusing and re-calibrating, and I believe that season is not over yet. In fact, I believe it is needed now more than ever. 1. Stay Low: Keep a posture of humility. 2. Draw Near: Stay close to His presence. When we're permeated by His presence, the hope of glory, Christ Jesus, becomes a part of us, and the power of God in us can work through us. 3. Incline Our Ears to Hear: When that moment comes and the Spirit of Lord speaks, we must obey and move quickly. In Isaiah 43:1 we read this wonderful message, "But now, thus says the LORD, who created you, O Jacob, and He who formed you, O Israel, 'Do not fear, for I have redeemed you; I have called you by your name; you are Mine.'" What more do we need? Every decision, every direction and every circumstance that we may go through—be it difficult or great, challenging or victorious—the Lord Jesus Christ is the hope of glory in us. No matter what, we know He's with us, He's engraved us and inscribed us on His hands. We belong to Him, and His power dwells in us. There's nothing to fear when we recognize His commission and His anointing. We need to be a people seeking consecration, asking and believing in faith for Him to do a work in us and get the rubbish out of our hearts. We must be sure to have proper perspectives; keep proper perceptions; be in proper alignments, agreements and associations; and keep right attitudes. And after we've allowed Him to do a deep work in our hearts, sowing seeds of faith through simple obedience, He will pour out His rain and water the seed. We need to draw from the well that never runs dry because it comes from a source of water—Living Water—that never ceases. Let's stay in prayer and fix our eyes on the Lord. As in the days of Esther, God can hear our prayers and expose the works of darkness and the evil intent of Haman. The Lord can turn what has been meant for harm and turn it to our good. Psalm 61 reminds us that when our hearts are overwhelmed, we should be led to the rock that is higher than we are. From the shoulders of the Lord, we can see with a different perspective. The Lord is still bigger than any disparaging voices or giants in the land. Let us not be discouraged or disillusioned, lest we become distracted from our destination and our primary calling. This calling is to be the good news, bring the good news, and broadcast the good news of the gospel. Be, bring and broadcast the gospel. "Gospel" means "good news." With all the negative news we hear daily, may we be the bearers of good news. If we as the church are going to see lasting impact in our generation, then we must be the tangible expression of the gospel, be willing to bring the gospel of good news to so many who desperately need it and passionately broadcast and proclaim good news in and through our lives. We need good news in a world of bad news. Be it, bring it and broadcast it by the way you reflect and represent the Lord in your life. I want to give this special note to church shepherds and Christians who are called to be ambassadors for Christ: Rather than fall into the trap of venting our personal divisive opinions, shouldn't we be cognizant of the need to unite the church and help bring healing? At the end of the day, we are to be Christlike even in our disagreements and our public discourse. Maybe Solomon's wisdom would be helpful. Who are those who really care about the baby (flock) versus those who would rather cut the baby in half just to win the argument? We all need God's grace. Let's not miss our moments of opportunity to reflect Christ, even when we disagree. The world is watching. Even more, the one is watching who called us into the ministry. Be the gospel. Lift Jesus higher, lift Jesus higher—for all the world to see. Let our (the church's) light shine, that people may see our good (tangible) works in such a way that it brings glory to our Father in heaven. May this be a year when we the church find unity in our diversity, so we can be a plumb line of healing and hope within a culture of division. Richard R. Hammar | Congress passes massive spending, tax bills. 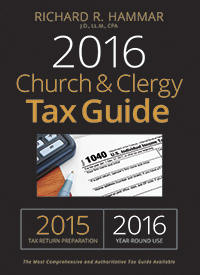 This article is a supplement for the 2016 Church & Clergy Tax Guide produced by Church Law & Tax. In the closing days of 2015, Congress passed a massive spending bill (the "Consolidated Appropriations Act of 2016") to fund the federal government through the end of fiscal year 2016, and a tax bill (the "Protecting Americans from Tax Hikes Act of 2015," or "PATH Act") that, among other things, extended several expiring tax provisions. The two bills amount to some 2,500 pages of text. This article addresses those provisions in each Act that pertain to taxes, and have direct relevance to churches and church staff. Key point. The congressional Joint Committee on Taxation estimates that the tax provisions will cost $622 billion over the next ten years. An individual may claim a tax credit of $1,000 for each qualifying child under the age of 17. The aggregate amount of child credits that may be claimed is phased out for individuals with income over certain threshold amounts. Specifically, the child tax credit amount is reduced by $50 for each $1,000 (or fraction thereof) of modified adjusted gross income over $75,000 for single individuals or heads of households, $110,000 for married individuals filing joint returns, and $55,000 for married individuals filing separate returns. Modified AGI includes certain otherwise excludable income. To the extent the child tax credit exceeds the taxpayer’s tax liability, the taxpayer is eligible for a refundable credit (the "additional child tax credit") equal to 15 percent of earned income in excess of a threshold dollar amount. This threshold dollar amount is indexed for inflation. Congress previously set the threshold at $3,000 for taxable years 2009 to 2017. The PATH Act makes permanent the earned income threshold of $3,000. The American Opportunity Tax Credit is available for up to $2,500 of the cost of tuition and related expenses paid during the taxable year. Under this tax credit, taxpayers receive a tax credit based on 100 percent of the first $2,000 of tuition and related expenses (including course materials) paid during the taxable year and 25 percent of the next $2,000 of tuition and related expenses paid during the taxable year. Forty percent of the credit is refundable. This tax credit is subject to a phaseout for taxpayers with adjusted gross income in excess of $80,000 ($160,000 for married couples filing jointly). In 2012, Congress extended the American Opportunity Tax Credit for five additional years, through 2017. The Protecting Americans from Tax Hikes Act of 2015 makes this credit permanent. Under prior law, working families with two or more children qualified for an earned income tax credit equal to 40 percent of the family’s first $12,570 of earned income. In 2009 Congress increased the earned income tax credit to 45 percent for families with three or more children and increased the beginning point of the phaseout range for all married couples filing a joint return (regardless of the number of children) to lessen the marriage penalty. In 2012, Congress extended for five additional years, through 2017, the 2009 enhancements that increased the EITC for families with three or more children and increased the phaseout range for all married couples filing a joint return. The Protecting Americans from Tax Hikes Act of 2015 makes these enhancements permanent. In 2012, Congress extended for two years the $250 above-the-line tax deduction for teachers and other school professionals for expenses paid or incurred for books, supplies (other than non-athletic supplies for courses of instruction in health or physical education), computer equipment (including related software and service), other equipment, and supplementary materials used by the educator in the classroom. This provision expired at the end of 2014, but was made permanent for 2015 and future years by the Protecting Americans from Tax Hikes Act of 2015. The Act also indexes the $250 maximum deduction amount for inflation, and provides that expenses for professional development are also eligible expenses for purposes of the deduction. However, the provisions pertaining to indexing the $250 maximum deduction amount and qualifying professional development expenses apply to taxable years beginning after December 31, 2015. Qualified transportation fringe benefits provided by an employer are excluded from an employee’s gross income for income tax purposes and from an employee’s wages for employment tax purposes. Qualified transportation fringe benefits include parking, transit passes, vanpool benefits, and qualified bicycle commuting reimbursements. Qualified transportation fringe benefits also include a cash reimbursement (under a bona fide reimbursement arrangement) by an employer to an employee for parking, transit passes, or vanpooling. In the case of transit passes, however, in general, a cash reimbursement is considered a qualified transportation fringe benefit only if a voucher or similar item that can be exchanged only for a transit pass is not readily available for direct distribution by the employer to the employee. Before February 17, 2009, the amount that could be excluded as qualified transportation fringe benefits was subject to one monthly limit for combined transit pass and vanpool benefits and a higher monthly limit for qualified parking benefits. Effective for months beginning on or after February 17, 2009, and before January 1, 2015, parity in qualified transportation fringe benefits was provided by temporarily increasing the monthly exclusion for combined employer-provided transit pass and vanpool benefits to the same level as the monthly exclusion for employer-provided parking. As of January 1, 2015, a lower monthly limit again applies to the exclusion for combined transit pass and vanpool benefits. Specifically, for 2015, the amount that can be excluded as qualified transportation fringe benefits is limited to $130 per month in combined transit pass and vanpool benefits and $250 per month in qualified parking benefits. For 2016, the monthly exclusion limit for combined transit pass and vanpool benefits remains at $130; the monthly exclusion limit for qualified parking benefits increases to $255. The Protecting Americans from Tax Hikes Act of 2015 reinstates parity in the exclusion for combined employer-provided transit pass and vanpool benefits and for employer-provided parking benefits and makes parity permanent. As a result, for 2015, the monthly limit on the exclusion for combined transit pass and vanpool benefits is $250, the same as the monthly limit on the exclusion for qualified parking benefits. Similarly, for 2016 and later years, the same monthly limit will apply on the exclusion for combined transit pass and vanpool benefits and the exclusion for qualified parking benefits. Congress enacted legislation in 2004 providing that, at the election of the taxpayer, an itemized deduction may be taken for state and local general sales taxes in lieu of the itemized deduction for state and local income taxes. This provision was added to address the unequal treatment of taxpayers in the nine states that assess no income tax. Taxpayers in these states cannot take advantage of the itemized deduction for state income taxes. Allowing them to deduct sales taxes helps offset this disadvantage. This provision expired at the end of 2014 but was made permanent for 2015 and future years by the Protecting Americans from Tax Hikes Act of 2015. A qualified charitable distribution is any distribution from an IRA directly by the IRA trustee to a charitable organization, including a church, that is made on or after the date the IRA owner attains age 70½. A distribution will be treated as a qualified charitable distribution only to the extent that it would be includible in taxable income without regard to this provision. This provision applies only if a charitable contribution deduction for the entire distribution would be allowable under present law, determined without regard to the generally applicable percentage limitations. For example, if the deductible amount is reduced because the donor receives a benefit in exchange for the contribution of some or all of his or her IRA, or if a deduction is not allowable because the donor did not have sufficient substantiation, the exclusion is not available with respect to any part of the IRA distribution. First, the ten-percent limit on charitable contribution deductions by corporations are made subject to a limitation of 15 percent of taxable income. The general ten-percent limitation for a corporation does not apply to these contributions, but the ten-percent limitation applicable to other contributions is reduced by the amount of these contributions. Qualifying food inventory contributions in excess of these 15-percent limitations may be carried forward and treated as qualifying food inventory contributions in each of the five succeeding taxable years in order of time. Second, in the case of any contribution of apparently wholesome food which cannot or will not be sold solely by reason of internal standards of the taxpayer, lack of market, or similar circumstances, or by reason of being produced by the taxpayer exclusively for the purposes of transferring the food to an organization described in section 501(c)(3), the fair market value of such contribution shall be determined (1) without regard to such internal standards, such lack of market or similar circumstances, or such exclusive purpose, and (2) by taking into account the price at which the same or substantially the same food items (as to both type and quality) are sold by the taxpayer at the time of the contributions (or, if not so sold at such time, in the recent past). An individual is allowed a deduction for qualified tuition and related expenses for higher education paid by the individual during the taxable year. The deduction is allowed in computing adjusted gross income. Qualified tuition and related expenses include tuition and fees required for the enrollment or attendance of the taxpayer, the taxpayer’s spouse, or any dependent of the taxpayer with respect to whom the taxpayer may claim a personal exemption, at an eligible institution of higher education for courses of instruction of such individual at such institution. The expenses must be in connection with enrollment at an institution of higher education during the taxable year, or with an academic period beginning during the taxable year or during the first three months of the next taxable year. The deduction is not available for tuition and related expenses paid for elementary or secondary education. The maximum deduction is $4,000 for an individual whose adjusted gross income for the taxable year does not exceed $65,000 ($130,000 in the case of a joint return), or $2,000 for other individuals whose adjusted gross income does not exceed $80,000 ($160,000 in the case of a joint return). No deduction is allowed for an individual whose adjusted gross income exceeds the relevant adjusted gross income limitations, for a married individual who does not file a joint return, or for an individual with respect to whom a personal exemption deduction may be claimed by another taxpayer for the taxable year. The deduction is not available for taxable years beginning after December 31, 2014. The amount of qualified tuition and related expenses must be reduced by certain scholarships, educational assistance allowances, and other amounts paid for the benefit of such individual. The PATH Act reinstates this deduction for 2015, and extends it through 2016. Employers must report wage amounts paid to employees on information returns and provide the employee with an annual statement showing wages paid, taxes withheld, and contact information for the employer by January 31 of the following calendar year, using Form W-2. Employers must file an information return with the Social Security Administration (“SSA”) by February 28 of the year following the calendar year for which the return must be filed, reporting wages paid to employees and taxes withheld from employee wages, using Form W-3. However, the deadline for filing Form W-3 (with copies of Forms W-2) with the SSA is extended to March 31 if the form is filed electronically. Employers must furnish a Form 1099-MISC by January 31 to any person who is paid $600 or more in "nonemployee compensation" during the previous year. Nonemployee compensation generally includes fees for professional services, commissions, awards, travel expense reimbursements, or other forms of payments for services performed for the payor’s trade or business by someone other than in the capacity of an employee. Employers send copies of Forms 1099-MISC issued during the year with a Form 1096 transmittal form to the SSA by February 28 of the following year. As with Form W-3, the deadline for filing Form 1096 is extended to March 31 if the form is filed electronically. Note: if a deadline falls on a weekend, the deadline is the next business day. The PATH Act requires that Forms W-2, W-3, 1099-MISC, and 1096, be filed by January 31, and eliminates the extended due date (March 31) for electronically filed Forms W-3 and 1096. These changes are effective for returns and statements relating to calendar years beginning after 2015. Additionally, the Act requires that no credit or refund for an overpayment for a taxable year shall be made to a taxpayer before the 15th day of the second month following the close of that taxable year, if the taxpayer claimed the EITC or additional child tax credit on the tax return. Individual taxpayers are generally calendar year taxpayers, thus, for most taxpayers who claim the EITC or additional child tax credit this rule would apply such that a refund of tax would not be made to such taxpayer prior to February 15th of the year following the calendar year to which the taxes relate. At the time that a taxpayer files a return claiming a refundable credit, the IRS is generally not in possession of information needed to confirm the taxpayer’s eligibility for such credit, even though employers must report wage amounts paid to employees on information returns and provide the employee with an annual statement showing the aggregate payments made and contact information for the payor by January 31 of the following calendar year. This provision will provide the IRS with additional time to review refund claims for both the EITC and child tax credit in order to reduce fraud and incorrect payments. The provision pertaining to the payment of certain refunds applies to credits or refunds made after December 31, 2016. An employer that is required to file information return statements (Forms W-3, 1096) with the SSA, or furnish payee statements (Forms W-2 and 1099-MISC) to employees or contractors, is subject to a penalty that varies based on when, if at all, the information return is filed. The failure to file and failure to furnish penalties are identical, and are adjusted annually to account for inflation. In 2015, Congress increased the penalties for failure to file information returns (Forms W-3 and 1096) and failure to furnish payee statements (Forms W-2 and 1099-MISC) to the following amounts for information returns and payee statements due after December 31, 2015: The first-tier penalty is $50 per return (if a correct return filed within 30 days after due date); the second-tier penalty is $100 per return (if a correct return filed by August 1); and a third-tier penalty of $250 per return (if a correct return filed after August 1). For failures or misstatements due to intentional disregard, the penalty per return or statement increased to $500, with no calendar year limit. No distinction between small businesses and other persons required to report is made in such cases. The PATH Act creates a "safe harbor" from the application of the penalty for failure to file a correct information return and the penalty for failure to furnish a correct payee statement in circumstances in which the information return or payee statement is otherwise correctly filed but includes a de minimis error of the amount required to be reported on such return or statement. In general, a de minimis error of an amount on the information return or statement need not be corrected if the error for any single amount does not exceed $100. A lower threshold of $25 is established for errors with respect to the reporting of an amount of withholding or backup withholding. The provision requires broker reporting to be consistent with amounts reported on uncorrected returns which are eligible for the safe harbor. If any person receiving payee statements requests a corrected statement, the penalty for failure to file a correct information return and the penalty for failure to furnish a correct payee statement would continue to apply in the case of a de minimis error. The provision applies to information returns (Forms W-3 and 1096) required to be filed and payee statements (Forms W-2 and 1099-MISC) required to be furnished after December 31, 2016. The PATH Act denies to any taxpayer the EITC, child credit, and American opportunity tax credit, with respect to any taxable year for which such taxpayer has a taxpayer identification number that has been issued after the due date for filing the return for such taxable year. Similarly, a qualifying child (in the case of the EITC and child credit) or a student (in the case of the American opportunity credit) is not taken into account with respect to any taxable year for which such child or student is associated with a taxpayer identification number that has been issued after the due date for filing the return for such taxable year. The provision generally applies to any return of tax, and any amendment or supplement to any return of tax, which is filed after the date of the enactment of the Act (December 18, 2015). However, the provision shall not apply to any return of tax (other than an amendment or supplement to any return of tax) for any taxable year which includes the date of the enactment, if such return is filed on or before the due date for such return of tax. A taxpayer who was previously disallowed the EITC may not claim the EITC for a period of ten taxable years after the most recent taxable year for which there was a final determination that the taxpayer’s claim of credit was due to fraud. Such disallowance period is two years in the case of a taxpayer for which there was a final determination that the taxpayer’s EITC claim was due to reckless or intentional disregard of rules and regulations (but not to fraud). The PATH Act expands the disallowance rules that apply to the EITC to the child tax credit and the American opportunity tax credit. As a result, if an individual claims the child tax credit or the American opportunity credit in a taxable year, and is denied the credit, and such claim for credit was determined to be due to fraud, or reckless or intentional disregard of the rules, that individual may not claim the credit for the next ten or two years, respectively. The provision is effective for taxable years beginning after December 31, 2015. Tax return preparers are subject to a penalty for preparation of a return or refund claim with respect to which an understatement of tax liability results. If the understatement is due to an “unreasonable position,” the penalty is the greater of $1,000 or 50 percent of the income derived (or to be derived) by the return preparer with respect to that return. Any position that a return preparer does not reasonably believe is more likely than not to be sustained on its merits is an “unreasonable position” unless the position is disclosed on the return or there is “substantial authority” for the position. There is a substantial authority for a position if the weight of the authorities supporting the treatment is substantial in relation to the weight of authorities supporting contrary treatment. If the understatement is due to willful or reckless conduct, the penalty increases to the greater of $5,000 or 50 percent of the income derived (or to be derived) by the return preparer with respect to that return. The PATH Act increases the penalty rate on paid tax return preparers for understatements due to willful or reckless conduct to the greater of $5,000 or 75 percent of the income derived (or to be derived) by the preparer with respect to the return or claim for refund. This provision is effective for returns prepared for taxable years ending after the date of enactment (December 18, 2015). For the American opportunity credit (in addition to the other credits with respect to amounts paid for educational expenses), no credit may be claimed by a taxpayer with respect to the qualifying tuition and related expenses of an individual, unless that individual’s taxpayer identification number is included on the tax return. The tax code imposes no reporting requirement with respect to the identity of the educational institution attended by the individual. The PATH Act requires that taxpayers claiming the American opportunity tax credit provide the employer identification number of the educational institution attended by the individual to whom the credit relates. This provision requiring the employer identification number is effective for taxable years beginning after December 31, 2015. Certain small employers can establish a simplified retirement plan called the savings incentive match plan for employees (“SIMPLE”) retirement plan. SIMPLE plans can be adopted by employers: (1) that employ 100 or fewer employees who received at least $5,000 in compensation during the preceding year; and (2) that do not maintain another employer-sponsored retirement plan. A SIMPLE plan can be either an individual retirement arrangement (an “IRA”) for each employee or part of qualified cash or deferred arrangement (a “section 401(k) plan”). Generally, distributions from employer-sponsored retirement plans and IRAs can be rolled over on a nontaxable basis to another employer-sponsored retirement plan or IRA. However, under prior law, a distribution from a SIMPLE IRA during the two-year period beginning on the date the employee first participated in the SIMPLE IRA could be rolled over only to another SIMPLE IRA. In addition, because the only contributions that may be made to a SIMPLE IRA are contributions under a SIMPLE plan, distributions from other employer-sponsored retirement plans and IRAs could not be rolled over to a SIMPLE IRA, even after this two-year period. The PATH Act permits rollovers of distributions from employer-sponsored retirement plans and traditional IRAs (that are not SIMPLE IRAs) into a SIMPLE IRA after the expiration of the two-year period following the date the employee first participated in the SIMPLE IRA (the two-year period during which the additional income tax on distributions from a SIMPLE IRA is 25 percent instead of 10 percent). There is a two-year grace period for an employer that establishes and maintains a SIMPLE IRA for one or more years and satisfies the 100 employee limit but fails to meet the 100 employee limit in a subsequent year, provided that the reason for the failure is not due to an acquisition, disposition, or similar transaction involving the employer. This provision applies to contributions to SIMPLE IRAs made after the date of enactment of the bill (December 31, 2015). Controlled Group Rules. The Church Plan Clarification Act establishes rules for aggregation of church-related entities for benefits rules and testing purposes that reflect the unique structural characteristics of religious organizations. Currently, the controlled group rules for tax-exempt employers may require certain church-affiliated employers to be included in one controlled group (i.e., treated as a single employer), even though they have little relation to one another. A modification is necessary to the controlled group rules to ensure that multiple church-affiliated entities – which may be related theologically, but have little or no relation to one another in terms of day-to-day operation – are not inappropriately treated as a single employer under the tax code. Grandfathered Defined Benefit (“DB”) Plans. Internal Revenue Code (“IRC”) section 403(b) church DB plans established before 1982 are called grandfathered DB plans and were intended to be treated and continue to operate as DB plans. The Church Plan Clarification Act would clarify that that such plans must comply with the benefit accrual limitations applicable to defined benefit plans under IRC section 415(b) and not the accrual limitations applicable to defined contribution plans under IRC section 415(c). This clarification would prevent unintended consequences that can arise from application of both limitations as provided by current law, principally harm to clergy who are lower-paid and closest to retirement. Automatic Enrollment. The Church Plan Clarification Act equalizes the availability of automatic enrollment for church and conventional private-sector retirement plans by preempting state laws that may be inconsistent with including auto-enrollment features in church retirement plans. Transfers Between 403(b) and 401(a) Plans. It is not uncommon for churches or church-related employers to establish an IRC section 401(a) qualified plan on their own, only to subsequently decide that they would prefer to participate in their denomination’s IRC section 403(b) plan. Current regulations, however, do not allow transfers and mergers between a 403(b) church retirement plan and a 401(a) qualified church retirement plan. This limitation on transfers and mergers increases complexity and administrative costs for church employers and creates more confusion for covered employees when they are covered by more than one plan maintained by the pension board (e.g., multiple account balances, statements, etc.). The Church Plan Clarification Act would allow for such mergers and transfers, decreasing the complexity and administrative costs resulting from current law. 81-100 Trusts. The Church Plan Clarification Act allows special tax-exempt investment vehicles (often referred to as “group trusts,” “collective trusts,” or “81-100 trusts”) to accept pooled church plan assets. Many church pension boards hold, on a pooled basis for investment purposes, plan assets and non-plan church-related assets devoted exclusively to church purposes, allow churches the benefit of the board’s greater resources, investment skills, and economies of scale. These pension boards are currently prohibited from investing pooled assets in 81-100 trusts, which forecloses an attractive investment opportunity that achieves diversification at low cost. The changes made to the controlled group rules and the provision relating to limits on defined benefit section 403(b) plans apply to years beginning before, on, or after the date of enactment (December 18, 2015). The provision relating to automatic enrollment is effective on the date of enactment. The provision relating to plan transfers and mergers applies to transfers or mergers occurring after the date of enactment. The provision relating to investments in group trusts applies to investments made after the date of enactment. The Senate rejected a provision in the House version of the Omnibus Appropriations Act that would have denied funds for the IRS to determine that a church is not exempt from taxation for participating in, or intervening in, a political campaign on behalf of (or in opposition to) any candidate for public office unless the IRS Commissioner consented to such a determination, the Commissioner notifies the tax committees of Congress, and the determination is effective 90 days after such notification. The Act provides a two-year moratorium on the excise tax on high cost health plans ("Cadillac Tax"), provided under the Affordable Care Act. The 40 percent tax was to take effect in 2018 and was imposed on plans that cost more than $10,200 for single health plans and $27,500 for family plans. The Act postpones the tax until 2020. The Act provides a one-year extension of the Internet Tax Freedom Act, which bans states and localities from taxing Internet access or placing multiple and discriminatory taxes on Internet commerce, but allows grandfathered states and localities through June 2020 to phase-out existing taxes. This content is designed to provide accurate and authoritative information in regard to the subject matter covered. It is sold with the understanding that the publisher is not engaged in rendering legal, accounting, or other professional service. If legal advice or other expert assistance is required, the services of a competent professional person should be sought. "From a Declaration of Principles jointly adopted by a Committee of the American Bar Association and a Committee of Publishers and Associations." America is suffering from an extended spiritual drought. While the social and moral decay of this hour may grieve us, discernment of the larger reason for this blight lies at the door of an all-but-prayerless church. We share a part of that responsibility because—had we been more conscientious earlier—we would not have allowed the progressive dismantling of weekly, united, extended corporate prayer gatherings. I am not writing to assign guilt, for I have been too slow a learner myself. But I am writing with an invitation, one spoken from heaven and beginning to resonate in many hearts. Although the enemy of humankind is rising viciously, knowing he has only a short time, the Holy Spirit of God is present. He is not here to condemn, but to convene the hearts of believers with His promise, wisdom and expectancy. Above all, I feel a hope, born of prayer rising from my heart and one of love and brotherly commitment to Foursquare pastors, leaders and members. With that hope, I am writing in earnest and crying out for the igniting of an awakening to prayer. Pray with me that we would unite to lead our congregations from our knees. Let us lead people into a lifestyle of intercession as God's Word directs (1 Tim. 2:1-2). Unless we are biblically renewed to this first of all calling of the body of Christ, our first calling as believers will be sacrificed on the altar of sloth, and the spirit of the age will run even more rampant. Let us affirm that there is nothing old school about the New Testament's order of the church's prayer-life. It is an ever-contemporary pattern of biblical spirituality, and nothing—not even the finest programming, productions or tactical strategies—can substitute for it. Prayer is the foundation and fountainhead of spiritual power, breakthrough and revival; prevailing prayer, both at the local and national level, is what we and America need. Given this situation, my hope is that The Foursquare Church may "rise to this hour" and make it a "restoring the ancient landmarks" of former victories. That, as a united-and-agreed fellowship, a vast majority of pastors and congregations would unapologetically welcome the Holy Spirit into their midst. Such well-ordered prayer gatherings will overthrow strongholds of darkness and release rivers of "living water" and revival blessings. Sound-minded, bold and believing prayer is prayer with a "cutting edge," namely, a lifestyle that penetrates the darkness of spiritual blindness and brings God's mercy and deliverance. It is this kind of prayer that shatters the darkness and drives back the kind of spiritual challenge we face with the plague of evil and rebellion in our nation. Someone recently asked me: "Some people think of the 1950s and 1960s as a golden age for the church in America, but were there drawbacks to the church being socially respectable?" I answered: "I don't think of the church being 'respected' as a drawback. However, a socially comfortable church has not historically produced a spiritually passionate church." You who have ears to hear, listen to what the Holy Spirit is saying! by indulging their own carnality, losing clarity and integrity of heart. The issue is clear: The Holy Spirit is seeking to find—and speak to—those with ears to hear! There is nothing more disabling than to become tone deaf to the voice of the Holy Spirit. There is nothing more numbing to the soul than to be unresponsive to His call. In this critical hour, we dare not hedge on the implications of "hearing" the Holy Spirit. We dare not compromise His intentions for our fellowship as Spirit-filled and Spirit-led people. The question of this hour in history resounds from the lips of the Lord: "When the Son of Man comes, will He find faith on the earth?" (Luke 18:8, NIV). Namely, the faith that answers the call to rise up in prayer! As with any nation, the battle for America's soul will only be won with the weapons of spiritual warfare. These weapons—wielded by people systematically meeting in prayer gatherings to marshal sound-minded, biblically ordered intercession—have yet to be restored in The Foursquare Church in America. Yet if God's people don't assemble in agreement, on their knees, who else will "destroy arguments and every lofty opinion raised against the knowledge of God, and take every thought captive to obey Christ" (2 Cor. 10:5, ESV)? The church is the one agency on Earth with access to this promise. Heaven is waiting. God has indicated His sovereign choice: He is ready to answer with His open hand of unlimited blessing if, under His authoritative directive, we will take our stand and advance in prayer. Today, we must remember the promise God made to Solomon long ago: "If my people … humble themselves, and pray … then I will hear from heaven and will forgive their sin and heal their land" (2 Chr. 7:14, ESV). However, we must ask ourselves, "Where can God find a people who will align themselves with God's conditions?" This cannot be a halfway proposition. His Word of promise is only spoken into action where people welcome His Holy Spirit, and on His terms. I want to honor the wisdom, sought and applied, by which our leaders have brought administrative adjustments that we as a movement have pragmatically applied in recent years. However, whatever else we have wisely and worthily realigned structurally, our definition of local intercessory alignment has yet to "hear what the Spirit is saying to the churches." We are in need of reviewing Jesus' confrontation of leaders who busied themselves with religious duties but neglected God's command: "My house will be called a house of prayer for all nations" (Is. 56:7, NIV). Let us abandon all self-excusing passivity indulged when we negate our Lord's focus on the priority of prayer. No society should ever be seen as beyond hope of revival, the recovery of sanity or the rebirth of multitudes—if it is laced with congregations everywhere where the Light of the world still shines. The divine call of God addressing The Foursquare Church in America is no different than the one trumpeted to the larger believing body of Christ. Too many have traded the timeless for the transient, the costly for the clever, the eternal for the contemporary and the seeker-sensitivity for man-pleasing management. Our beginning point of reference must be on our knees, in our closets and at altars of repentance. New furniture isn't required, but a ready and renewed passion is! Jack Hayford is chancellor of The King's University and former president of The Foursquare Church. Which Side of Acts 1 Are You On? Are you living on the right side of Acts 1? The answer will determine the course of your life. Every morning when we awaken from a long night of sleep, we stretch, yawn and eventually step into a new day. In the natural we are functioning from a collection of experiences, training, opportunities, challenges and other influences that have helped determine our current experience. Some are waking up in the morning to get ready to operate on somebody’s heart because his natural training provided him that opportunity. Others are headed to classes in a university as a result of healthy planning. Still others are depressed, lonely, fearful, expectant, determined or are experiencing a myriad of other very real feelings due to their position in life. Their natural position. Spiritually, where are you? Specifically, which side of Acts chapter one are you living on when you wake up each morning? Of course, the first chapter of Act’s position on the historical timeline comes after the death and victorious resurrection of Jesus. The question I’m asking is directed toward those who have been redeemed by the blood of the Lamb—Christians—those who have responded to the greatest gift man has ever been offered. Christian friend, it’s possible to be functioning on the right side of the cross and on the wrong side of the rest of the story. Read the short passage in Acts 1:6-11 again. Let the power of that dramatic moment impact you. Put yourself in the position of the disciples of Jesus. They had just experienced, to put it lightly, a dramatic season of life that culminated with their hero, their friend, God himself being brutally, savagely tortured and mutilated. They were suddenly alone, fearful and confused. Their holy hope was gone forever—so it seemed. Dead people don’t just wake up and walk out of their tombs after all, right? Lazarus might disagree with that. So would Jesus. The disciple’s overwhelming hopelessness was miraculously displaced by the impossible. Jesus walked out his tomb. They were fearful, alone and confused no more. Now the celebration begins! Now plans for the future can be discussed! This was the day the Lord Jesus himself created and it was time to rejoice and be glad! They didn’t understand at all what the future held. The victory on the cross, in their minds, would result in Jesus doing much more of what they saw him do previously. Jesus was the man of the hour and they wanted to be in the front row for the show. After all, Jesus had just spent 40 days talking to them about the Kingdom, right? Yes, the Kingdom was coming, but not at all the way everyone had presumed. Jesus was about to launch them out of Acts chapter one and into Acts chapter two. The disciples had necessary teaching about the Kingdom and a mandate to wait for a promise that would enable them to initiate a world shaking mission. However, in their minds they wondered why they would need a Promise if Jesus was there with them. Why would they need anything else? Jesus was going to work wonders and they would be there as his most fervent supporters! Again, put yourself in the shoes of the disciples. What type of emotional crisis were they going through? First Jesus died, then he defied all odds and returned in victory. Now their plans for Jesus to build his Kingdom were cut down as they received an inconvenient mandate to pray and wait for some nondescript Promise—as Jesus again left them. Now, their close friend, their superhero who would protect them from the threats of the many enemies in the land, was gone from them a second time—this time for good (at least in their lifetimes). The Bible says that they were just standing there gazing into heaven. My question to you is this: Are you gazing into heaven waiting for Jesus to show up and do what you are yearning for him to do? Or, are you taking action in the power of the Holy Spirit to do it yourself? On the cross Jesus famously said, “It is finished!” His part is done. We have been left with an extreme mandate and a costly mission that must be in front of us every morning when we awaken, stretch and yawn and move into our day. So often we are crying out for Jesus to heal the sick when he commanded us to heal the sick. Those on the wrong side of Acts chapter one will gaze into heaven waiting for Jesus to do it. Those who have been baptized with power and who have embraced their spiritual mission will function in the power of the resurrection by looking at someone and commanding that they take up their mat and walk! True baptism in power results in an inconvenient life. I’m convinced that casual ‘gazing into heaven’ type prayer is often unanswered because Jesus is putting the pressure on us to get into the prayer rooms where supernatural baptism can be found. Those who are living on the wrong side of Acts chapter one have bought into the resurrection power of the cross but have yet to step into their life mission that requires a devotion that will put every other life focus at risk. They want to continue in their day-to-day life hoping that Jesus will be the hero and rescuer they might need in times of trouble. The call to greater consecration is unnecessary since they are already saved and the victory of the cross was complete. The enemy is moving across the earth stealing, killing and destroying. How could we even begin to think our work is done or unnecessary? The blood of Jesus doesn’t grant us immunity, it grants us authority—authority to tread on serpents, authority to heal the sick, authority to advance the Kingdom, authority to go and make disciples. Those living on the right side of the chapter are burning with that mission every single day. They wake up on fire with an urgency to fulfill their extremely important commission. The life of someone living in Acts chapter two and beyond looks radically different than the lives of other Christians. The call to prayer was too inconvenient for most everybody who saw Jesus alive after the resurrection. Only 120 showed up in that room. Only 120 determined it was necessary to actually obey Jesus. To them Jesus was more Savior than Lord. Living on the right side of Acts one requires obedience. It requires us to be people of extravagant, inconvenient prayer. Acts two started with prayer in an Upper Room and it continued with prayer daily in the temple. Today we have innumerable people who are naming the name of Christ who are living in constant disobedience by refusing to live a life of continual prayer. Corporate prayer is such a clear and obvious mandate for Christians that it is beyond shocking and nonsensical that so many are not investing in it. They are living after the resurrection but before Acts, presuming that all is well and there is nothing left to be done. Both Resurrection power and Holy Spirit power are required before we can even begin to understand our life purpose—much less fulfill it. The corporate prayer meetings are the most important meeting and every Christian must be in attendance. In fact, In Acts 2 corporate prayer was a daily occurrence. This is what must return to our churches today. This means we can no longer continue without coming together for Holy Spirit infused prayer every day and presume it’s okay or normal. It’s not. Those living on the right side of Acts one can’t stand the thought of going a day without encountering God in prayer with other Believers. Acts Christians were radically invested in both corporate church gatherings and planting of new churches. I’m grieved at the number of Christian “church haters” (is that even possible?) that are on the rise. People are creating theologies that argue against the corporate church setting that are laughable. Consider Chinese Christians who gather together every morning at 4:30am, seven days a week, to pray and worship together as the church before they begin their day. In America we think a couple hours a week is too inconvenient! Can somebody explain to me how coming together with other Christians every day to pray on fire is a bad thing? How is that something that doctrines are being created to oppose? Truly those are doctrines of demons. Some might say that they don’t need to attend church because “they are the church.” They would be incorrect. If we understand the meaning of the word ‘church’ we could never presume that we alone are the church. That idea is contrary to the origin of the word (ekklesia, meaning “assembly”). In fact, that word has secular origins. It literally means an assembly of people who have been called together by an authority in the city or region. Wow! That sheds a lot of light on what the church is. The church is an assembly of people organized under defined governmental leadership. It’s a regular gathering of people who are deeply agreed and in pursuit of mission advance under God’s apostles, prophets and other governmental leaders. Further, the pure definition of the word reveals that it isn’t used as easily in the context of the global company of believers as it is in the regional and local gathering of believers. The definition reveals that it’s a well defined local group vs. a loosely defined larger group of people (who mostly don’t know each other at all). We can’t be a part of the church if we aren’t gathered together with other parts of the church. Church is corporate. Additionally, the church is a group of people who assemble, fellowship, pray and respond together to apostolic teaching. That can’t happen in a more nebulous global context. The church has inherent in it’s core call the expectation of assembly and a corporate response so as to ensure the local mission is fulfilled. Again, a fulfilled mission can’t be realized without this type of intentional and faithful participation at a local level where communication and commonality are clearly defined. Those living in Acts Holy Spirit power understand the need to be rightly aligned with men and women of God. They understand the church gathering isn’t foundationally a social one. It’s a strategic one. Great numbers of people coming together to pray and to receive apostolic instruction is necessary on a daily basis if we are to advance the gospel in victorious fashion. The church is a military. It has a mission. Church haters have gripes about how they were treated, about disagreements with focus, about not being recognized, about most anything. True biblical Holy Spirit empowered Christians are ready to die to their own opinions and serve. Today when people are rejected they run from the church with complaints in their hearts. Two thousand years ago when Jesus was rejected he died for the church with love in his heart. Acts Christians are not flowing under the radar, blending in with their culture. They are causing controversies and inciting riots! It angers me that so many supposed Christians refuse to declare the offensive Gospel message out of fear that they may lose friends, offend family or put their financial security at risk! Did you know that’s why there was a riot in Ephesus? People’s financial well being was compromised when Paul and his team of firebrands arrived on the scene! Where is such a disturbance today? “God loves you and has a wonderful plan for your life” is not the gospel message! It’s a true message, but it’s not the gospel message. When we start preaching about man’s depravity, our darkness, and God’s holiness and Lordship and his extreme sacrifice on the cross we will begin preaching the gospel. Anything that does not upset culture as it sets people free is suspect as a true message. People on the right side of Acts chapter one will burn with a mission. Others will live normal, low impact lives. Sure, they may enjoy God, say their prayers, go to church, worship him, read their bibles and be people of great conviction. However, the very reason they were born eludes them. The tears over the lost and the zeal for intercession are absent. An aggressive, unwavering daily pursuit of humanly impossible God given projects and assignments is nowhere to be found. The primary purpose of the Promise in the Upper Room was not to make us feel better as we worship or to help us in our daily lives. The primary purpose of the Holy Spirit is to empower us to live free from sin (He’s the HOLY Spirit) and to preach the message of the cross to the world; to expand the Kingdom. How different this is than what the disciples presumed in Acts one! The Holy Spirit enables us to work and to advance in mission in ways that are not possible via human determination. Jesus is physically gone and we are the ones to do the work! When on the earth, Jesus was about his Father’s business. Now that he is gone we are to be about our Father’s business! I propose there are many post-resurrection/pre-Upper Room Christians today who also don’t understand what it is to be about our Father’s business. Acts chapter one where we see disciples of Jesus transition into apostles. In a moment, they went from followers to ‘sent ones’ with a mission. I want to encourage you, when you wake up each morning, stretch and yawn and get ready for the day that you function as a sent one. Burn with a passion for Jesus and the advance of his Kingdom. Embrace the impossible assignments that God has for you. Pray continually with others. Live and walk in the Spirit. Disrupt the culture you live in. Trouble the lukewarm and awaken the sleepers. Live in great power—power that’s found on the other side of Acts chapter one. John Burton has been developing and leading ministries for over 20 years and is a sought out teacher, prophetic messenger and revivalist. John has authored nine books, has appeared on Christian television and radio and directed one of the primary internships at the International House of Prayer (IHOP) in Kansas City. Additionally, he planted two churches, has initiated two city prayer movements and is currently directing a prayer- and revival-focused ministry school in Detroit called theLab University. John's mandate is to call the church in the nations to repentance from casual Christianity and to burn in a manner worthy of the King of kings. He is equipping people to confront the enemies of God (established religion, Jezebel and so on) that hinder an extreme, sold-out level of true worship. For the original article, visit johnburton.net. An important point to note first is that we are not to use prayer to try and get God to do what we want done. Many believers try and use prayer to get their own way, not God's way. Prayer must be compatible with God's will and God's way. Sometimes that may be our will and our way, but other times it may not. "And this is the confidence which we have before Him, that, if we ask anything according to His will, He hears us. And if we know that He hears us in whatever we ask, we know that we have the requests which we have asked from Him" (1 John 5: 14-15). Prayer is not designed to get us out of trouble, but rather to express our helplessness, our humility, our total dependence on God, and our recognition of His grace and His mercy toward us. Prayer is not what we want for ourselves, but what God wants for us. In fact, prayer is an expression and an extension of Bible doctrine resident in the soul. "If you abide in Me, and My words abide in you, ask whatever you wish, and it shall be done for you" (John 15: 7). Prayer was never designed to fulfill our lusts and desires; prayer is designed to fulfill the will, plan, and purpose of God for our lives (Robert R. McLaughlin). 1 Kings 18: 17-26 (NKJV). 25 And Adam knew his wife again, and she bore a son and named him Seth, “For God has appointed another seed for me instead of Abel, whom Cain killed.” 26 And as for Seth, to him also a son was born; and he named him Enosh. [a] Then men began to call on the name of the Lord (Genesis 4:25-26 (NKJV). 26 So they took the bull which was given them, and they prepared it, and called on the name of Baal from morning even till noon, saying, “O Baal, hear us!” But there was no voice; no one answered. Then they leaped about the altar which they had made (1 Kings 18:17-26 (NKJV). 14 But Peter, standing up with the eleven, raised his voice and said to them, “Men of Judea and all who dwell in Jerusalem, let this be known to you, and heed my words. 15 For these are not drunk, as you suppose, since it is only the third hour of the day. 16 But this is what was spoken by the prophet Joel: 17 ‘And it shall come to pass in the last days, says God, That I will pour out of My Spirit on all flesh; Your sons and your daughters shall prophesy, Your young men shall see visions, Your old men shall dream dreams. 18 And on My menservants and on My maidservants. I will pour out My Spirit in those days; and they shall prophesy. 19 I will show wonders in heaven above, And signs in the earth beneath: Blood and fire and vapor of smoke. 20 The sun shall be turned into darkness, and the moon into blood, Before the coming of the great and awesome day of the Lord. 21 And it shall come to pass. That whoever calls on the name of the Lord Shall be saved (Acts 2:14-21(NKJV). Brethren, in the above narrated messages we just viewed, what is your ultimate relationship with God and how honestly and faithfully do you wait and depend on Him? Be assured that our Almighty God is beside you no-matter your sorrow, discouragement, or sadness. Depend on Him and honestly trust in Him the more and victory will be yours in our Redeemer’s name. 38 But He said to them, “Let us go into the next towns that I may preach there also, because for this purpose I have come forth.” 39 And He was preaching in their synagogues throughout all Galilee, and casting out demons (Mark 1:32-39 (NKJV). 22 Immediately Jesus made His disciples get into the boat and go before Him to the other side, while He sent the multitudes away. 23 And when He had sent the multitudes away, He went up on the mountain by Himself to pray. Now when evening came, He was alone there. Dearly beloved, be assured that the prayer of our Lord Jesus Christ is very, very, important. That is, He faithfully, prayerfully, honestly, and obediently prayed in the morning. Also, He diligently chose His disciples after praying all night. And, when He prayed in the City of Gethsemane, He expressed unwillingness to die on the Cross of Calvary. Be aware that the final recorded words of our Lord Jesus Christ before His death was a word of prayer. Brethren, how do you face your problems in times of difficulty, in times of sadness, in times of sorrow, and in times of calamity? Understand that the Lord is on your side no-matter your situations, problems, or panics. When you face all of these calamities and problems, tell the Almighty God that He is there for you, then, you we win the battle and victory will be yours in Jesus’ name! Again, no matter your problems, sadness, tribulations, issues, or difficulties, trust more and depend more on Him and you will gain and win the battle in Jesus name. Amen! 1. Less than 20% of Americans regularly attend church — half of what the pollsters report. While Gallup polls and other statisticians have turned in the same percentage — about 40% of the population — of average weekend church attendees for the past 70 years, a different sort of research paints quite a disparate picture of how many Americans attend a local church on any given Sunday. Initially prompted to discover how church plants in America were really doing, Olson, director of church planting for the Evangelical Covenant Church (covchurch.org), began collecting data in the late “80s, gradually expanding his research to encompass overall attendance trends in the Church. In his study, he tracked the annual attendance of more than 200,000 individual Orthodox Christian churches (the accepted U.S. church universe is 330,000). To determine attendance at the remaining 100,000-plus Orthodox Christian churches, he used statistical models, which included multiplying a church”s membership number by the denomination”s membership-to-attendance ratio. His findings reveal that the actual rate of church attendance from head counts is less than half of the 40% the pollsters report. Numbers from actual counts of people in Orthodox Christian churches (Catholic, mainline and evangelical) show that in 2004, 17.7% of the population attended a Christian church on any given weekend. Another study published in 2005 in The Journal for the Scientific Study of Religion by sociologists C. Kirk Hadaway and Penny Long Marler — known for their scholarly research on the Church — backs up his findings. Their report reveals that the actual number of people worshipping each week is closer to Olson”s 17.7% figure — 52 million people instead of the pollster-reported 132 million (40%). What Hadaway and Marler, along with Mark Chaves, author of the “National Congregations Study,” discovered was at play is what researchers call “the halo effect” — the difference between what people tell pollsters and what people actually do. Americans tend to over-report socially desirable behavior like voting and attending church and under-report socially undesirable behavior like drinking. Gallup Poll Editor in Chief Frank Newport agrees that the halo effect factors in to poll results. During a Gallup telephone survey of a random sampling of about 1,000 Americans nationwide, interviewers ask respondents questions such as, “In the last seven days, did you attend a church service, excluding weddings and funerals?” to determine their church-going habits. “When people try to reconstruct their own behavior, particularly more frequently occurring on-and-off behavior, it is more difficult, especially in a telephone interview scenario,” Newport says. But he stands behind Gallup”s 40% figure: “I”ve been reviewing [U.S. church attendance] carefully,” he says. “No matter how we ask the question to people, we get roughly 40% of Americans who present themselves as regular church attendees.” He adds, however, that if you were to freeze the United States on any Sunday morning, you may find fewer than 40% of the country”s adults actually in churches. Clearly, a disconnect between what Americans say and what they actually do has created a sense of a resilient church culture when, in fact, it may not exist. 2. American church attendance is steadily declining. In 1990, 20.4% of the population attended an Orthodox Christian church on any given weekend. In 2000, that percentage dropped to 18.7% and to 17.7% by 2004. Olson explains that while church attendance numbers have stayed about the same from 1990 to 2004, the U.S. population has grown by 18.1% — more than 48 million people. “So even though the number of attendees is the same, our churches are not keeping up with population growth,” he says. Well-known church researcher and author Thom Rainer notes that the failure of churches to keep up with the population growth is one of the Church”s greatest issues heading into the future. In a 2002 survey of 1,159 U.S. churches, Rainer”s research team found that only 6% of the churches were growing — he defines growth as not only increasing in attendance, but also increasing at a pace faster than its community”s population growth rate. “Stated inversely, 94% of our churches are losing ground in the communities they serve,” he says. A breakdown of overall attendance percentages by church type shows decreases across the board in evangelical, mainline and Catholic churches. The most significant drop in attendance came at the expense of the Catholic Church, which experienced an 11% decrease in its attendance percentage from 2000 to 2004. Next, and not far behind were mainline churches, which saw a 10% percentage decline. Evangelicals experienced the smallest drop at 1%. Though scholars are hesitant to definitively acknowledge a decline, they do say that attendance is not increasing: “There”s no good evidence to suggest that overall church attendance has gone up in the recent decade,” Chaves says, adding that he believes there has been a decline. He cites the watershed book Bowling Alone (Simon and Schuster) by Harvard sociologist Robert D. Putnam as his primary reasoning. Recent data from The Barna Group (barna.org) indicates just the opposite. Church attendance is actually growing, company President George Barna says — climbing slowly from 1996″s 37% to 47% in 2006. His research shows that other core religious behaviors are also up. For example, Bible reading increased from 40% in 2000 to 47% in 2006. Ed Stetzer, missiologist and director of the Center for Missional Research at the North American Mission Board (namb.net) of the Southern Baptist Convention, has found similar evidence of spiritual behavior occurring outside church walls. He recently finished a study on alternative faith communities, and found that a growing number of people are finding Christian discipleship and community in places other than their local churches. The study found that 24.5% of Americans now say their primary form of spiritual nourishment is meeting with a small group of 20 or less people every week. 3. Only one state is outpacing its population growth. Hawaii, where 13.8% of the state”s population (1.3 million) regularly attends church, was the only state where church attendance grew faster than its population growth from 2000 to 2004. However, church attendance in Arkansas, Oklahoma, South Carolina and Tennessee — all of which have higher percentages of church attendees than Hawaii — was close to keeping up with population growth in the respective states (see U.S. map on page 50). In Hawaii, 6.3% of the population attended an evangelical church in 2004; mainline denominations accounted for 1.8%; and 5.7% regularly worshipped in Catholic congregations. A few states break from regional attendance trends. Texas — in the middle of the Bible Belt and home to more than 17 of the country”s largest churches — saw only 18% of its population (22.5 million) attend church on any given weekend in 2004, compared to sur-rounding states Oklahoma (22%), Louisiana (28%) and Arkansas (25%). And Florida (14.1%) had the lowest percentage of the Southern region (averaging 23%). Both Texas and Florida saw population growth (2000 to 2004) that was twice the national average. Olson notes that states with very diverse cultures tend to have lower attendance numbers than the states surrounding them. “Most of our churches know how to address only one culture,” he says. A closer look at the states only found more decline between 1990 and 2000. Church attendance declined in more than two-thirds of all U.S. counties: Slightly more than 2,300 counties declined, and 795 increased. 4. Mid-sized churches are shrinking; the smallest and largest churches are growing. While America”s churches as a whole did not keep up with population growth from 1994 to 2004, the country”s smallest (attendance 1–49) and largest churches (2,000-plus) did (see graph on page 52). During that period, the smallest churches grew 16.4%; the largest grew 21.5%, exceeding the national population growth of 12.2%. But mid-sized churches (100–299) — the average size of a Protestant church in America is 124 — declined 1%. What were the reasons for the decline? Stetzer agrees and adds that because today”s large churches emphasize small groups and community, hoping to create a small-church feel, they offer the best of both worlds. “There are multiple expectations on mid-sized churches that they can”t meet — programs, dynamic music, quality youth ministries,” he says. As for why the smallest churches have kept up, Shawn McMullen, author of the newly released Unleashing the Potential of the Smaller Church (Standard), notes that smaller churches cultivate an intimacy not easily found in larger churches. “In an age when human interaction is being supplanted by modern technology, many younger families are looking for a church that offers community, closeness and intergenerational relationships,” he says. 5. Established churches — 40 to 190 years old — are, on average, declining. All churches started between 1810 and 1960 (excluding the 1920s) declined in attendance from 2003 to 2004. The greatest attendance decrease in that period (-1.6%) came from churches begun in the 1820s, followed by the 1940s (-1.5%). The numbers climb to the plus side in the 1970s, with churches between 30 and 40 years old showing a slight .3% increase. The percentage goes up significantly for congregations launched in the 1980s (1.7%) and 1990s (3%). Established churches in decline are suffering from a leadership crisis, says Kirbyjon Caldwell, senior pastor of Windsor Village United Methodist Church in Houston. While his church is 50 years old, Caldwell says he has been there 25 years and in effect has made a “DNA change.” The church has grown from a struggling congregation of 25 to 7,100 under his charge. Reversing the decline, he says, was about the leaders of the church — both clergy and laity — deciding to redefine the congregation and meet the needs of the community. 6. The increase in churches is only 1/4 of what”s needed to keep up with population growth. Between 2000 and 2004, the net gain (the number of new churches minus the closed churches) in the number of evangelical churches was 5,452, but mainline and Catholic churches closed more than they started for a net loss of 2,200, leaving an overall net gain of 3,252 for all Orthodox Christian churches. “In this decade, approximately 3,000 churches closed every year; while more churches were started, only 3,800 survived,” Olson explains. In the 21st century, the net gain in churches has amounted to only 800 each year. Perhaps most telling is the fact that from 2000 to 2004, a net gain of 13,024 churches was necessary to keep up with the U.S. population growth. In reality, that means rather than growing with the population, the Church incurred a deficit of almost 10,000 churches. The gap is a serious one for Christianity in America, as research and studies show that church plants are the most effective means of evangelism and church growth. “More evangelism happens through church planting than megachurches,” Anderson says. He urges leaders to plant multicultural, missional churches. Although ultimately, America will continue to see a great dying off of churches, Stetzer says he is encouraged to see a renewed interest in missiology and Christology, as well as churches that are striving to change themselves. “They”re asking what a biblical church would look like,” he says. But he advises church planters to customize their church to their community rather than copy an existing model. Olson encourages churches, regardless of their size or expansion strategy, to either plant a church or work with other congregations to plant a church every five years. 7. In 2050, the percentage of the U.S. population attending church will be almost half of what it was in 1990. So what is the future of the American Church? Does declining attendance mean declining influence? If present trends continue, the percentage of the population that attends church in 2050 is estimated to be at almost half of 1990″s attendance — a drop from 20.4% to 11.7%. Olson”s projections for the years leading up to 2050 are less than encouraging. He estimates a drop to 16.6% in 2010, and 15.4% in 2020. He notes that while church attendance is projected to increase from 50 million in 1990 to 60 million in 2050, because the U.S. Census estimates that America will grow from 248 million in 1990 to 520 million in 2050, the Church can”t keep up with population growth if it stays on its current course. When generous people made a California trip possible for our family several years ago, we did the Disneyland thing and the outlet mall shopping trip and the sand-n-sea excursion. We also visited a megachurch one Sunday morning. When it came to extra time and choices of activities that weekend, I suggested we visit one or two or three other church services in the area. Because how fun! But to the beach we went. I just love the church so much. The church. Last Sunday morning we went to a little town called Libby, Montana, where Matt has been filling in as preacher for a few weeks. It's a small church in the sticks. But the people are sweet, and I have been enjoying worshipping the Lord with them as much as I enjoyed the lights, cameras and action of the megachurch we visited in California. There's something rich about gathering with other followers of Christ. Over time, I've heard from some of you readers who tell me you haven't been going to church for years, and in my heart this feels as though you're turning down Disneyland, outlet malls and a sunny day on the beach all at once. I told my friend last night that I was shipping this blog post to you, and she said, "What look will your readers see on your face when they're reading about why you think they should go to church?" So I showed her, and it looked like a child's best, "Mom, pleeeeeeease can we go to the park today?" look. So are you picturin' it? Me here with this begging face on? 1. If you follow Christ, you are part of the body of Christ, and body parts, by nature, are connected. I know a sweet young woman who is recovering from surgery on the stump of her leg right now, so I can picture what a troublesome thing it is to have an amputation (1 Cor. 12:27). 2. God wants to show others who he is through YOU. When you get involved at church, people get a bigger understanding of who God is (1 Cor. 12:7). Crazy, huh? 3. You have been given a spiritual gift that is to be used to build up the body of Christ. Your gift is something other believers desperately need (1 Cor. 12)! 4. You need to eat, learn and pray with other believers (Acts 2:42-47). 5. You need to share with others, which means you have to hang out enough that you see the needs your brothers and sisters have. And they're gonna wanna share with you (Acts 2:45). 6. You need encouragement, and other believers need encouragement from you on a regular basis because this life is seriously hard (Heb. 10:25). 7. You need to laugh and cry with other believers through all the ups and downs of life. That can only happen if you're meeting with other believers through a lot of days (Rom. 12:15). 8. God is going to comfort you, often through the words and actions of other believers, and He wants you to pass on the comfort to the believers around you (2 Cor. 1:3-4). 9. If God is your Father, that makes church a family gathering (Phil. 1:2). 10. When you gather with other believers and love them, God's love is made complete in you (1 John 4:12). See, you need the church, and the church needs you. It's messy. You'll get hurt by folks sometimes and will be disappointed by them often. But church is God's design, and if you risk going to church, you will bring glory to God and will find your own great joy. Pleeeeeeeease will you go to church? And for those of you who are regular church attenders, could you fill the comment section below with reasons why meeting regularly with your church family is so vital in your life? Maybe your words will be just the encouragement someone else needs to hear! Christy Fitzwater is the author of A Study of Psalm 25: Seven Actions to Take When Life Gets Hard. She is a blogger, pastor's wife and mom of two teenagers and resides in Montana. Visit christyfitzwater.com for more information about her ministry.